Garlic Parsley Herb Butter-So easy and done in less than 5 minutes! 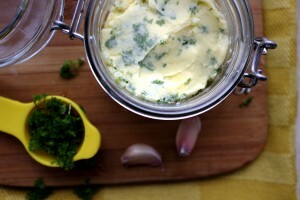 We love garlic parsley herb butter in our house. 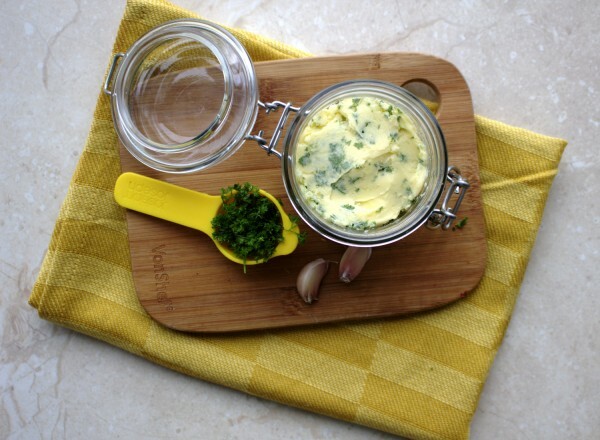 Well, we love good quality butter in the first place (Kerrygold, you are my best friend) and we absolutely love herb butters for dressing up our steaks, lamb chops, cauliflower rice, pretty much anything we can put it on. Our daughter, Ciara shares our obsession. One day while we were doing our grocery shopping when she was much younger, we were wondering how she was so quiet. We realised that she had been helping herself to some butter in the trolley. Well, at least it was grass-fed butter and thank god for her discerning palate :)! With an abundance of fresh herbs in the garden all year round (thank you wonderful husband! ), we make this regularly when we run out. It keeps great in the fridge for a few weeks in an airtight container but it usually doesn’t last that long. It also freezes well, rolled in a cyclinder shape and wrapped in parchment paper first and then tin foil. Using a good quality butter is the key here as there are only a few ingredients. It should be only butter and a little salt added. No margarine please, never ever margarine! I have a phobia of that stuff :). 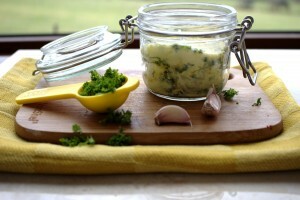 I have even started taking some of this garlic parsley herb butter with me when we go out to restaurants. That way, I have something delicious to have with my steak in case there are no additive-free options. A simple, delicious herb better to add to your favourite meat and vegetable dishes. Allow the butter to sit out of the fridge for a few hours to soften first as it will be easier to work with. Place in a bowl with the parsley and minced garlic and mix well. That's it! Keep in the fridge and use it to flavour your meats and vegetables!